Florence, AZ - Few Tourists & Lots of Soul! 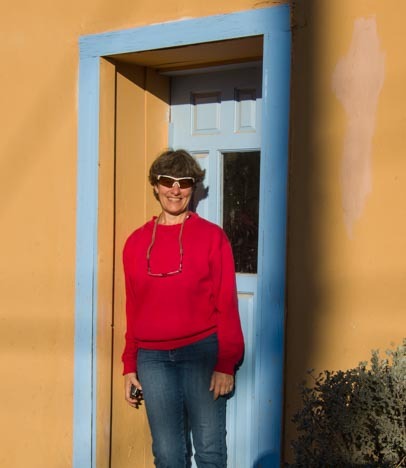 Florence, AZ – Few Tourists & Lots of Soul! 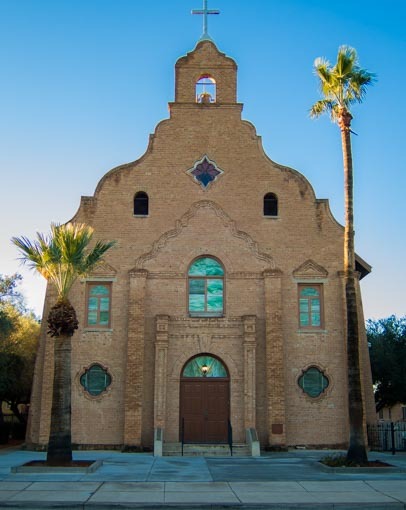 February, 2015 – Florence, Arizona, is a historic small town situated about halfway between Phoenix and Tucson. One of the prettiest old buildings in the center of this town is the old courthouse. Its steeple can be seen peeking above the rooftops on the streets of the historic district, and when I saw the full moon rising behind it, I feverishly ran around in front of the building to line up the perfect photo. “Can we help you?” An old guy standing with his friend on the steps of the courthouse yelled out to me. “Oh…no — It’s the moon — it’s gonna make a great picture — with the courthouse and the lights…” I yelled back, waving my arms and sounding like a crazy woman. He looked at me like I was out of my mind and nodded slowly. “Yes!” I laughed, and for the next few minutes we had a merry old time taking pics of the stately courthouse as the moon silently made its course into the sky. When our shutter clicks finally slowed down, he began telling me all about the beautiful cactus sightings he’d had while cruising around the desert in his jeep that afternoon. His girlfriend suddenly appeared, and started telling me how much she loved this courthouse. “It has so much character!” She said. They sounded like such tourists. I just had to ask where they were from. I was sure it would be Minnesota or Alberta or some other cold place very far away up north. And that’s what made me fall in love with this town during our weeklong stay. It’s not the history, even though almost every building in town has a historic plaque on it, and many buildings are very cool adobe with massively thick walls. And it’s not the quaint main street, because, in fact, the main street of historic Florence is frighteningly deserted and not at all quaint at the moment. Almost every storefront sports a “For Lease” sign, and only a tiny handful are actually open for business. Nope. 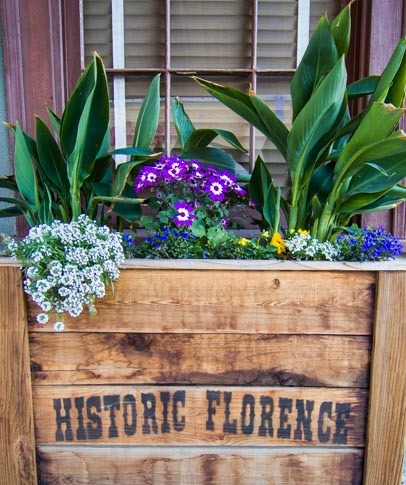 It is the spirit of the folks that live there that make Florence unique. They just love their special corner of Arizona, and we had one surprise and fun encounter with the locals after another! Well, the truth is, it is specially brewed one cup at a time, and it was one of the tastiest cups of coffee I’ve had in ages! 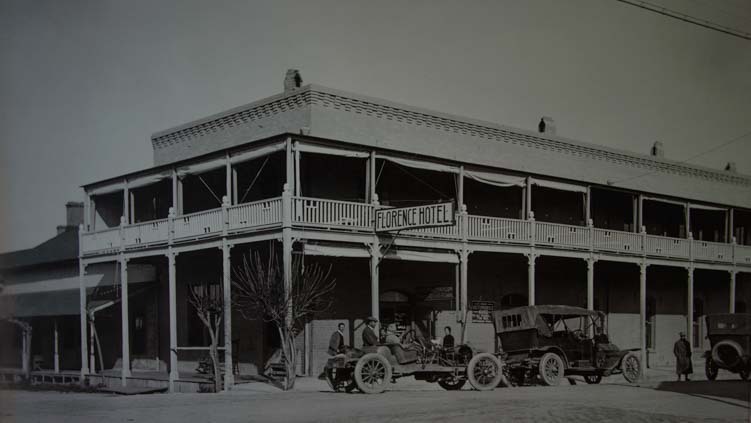 As we prowled around the old Florence Hotel building, we found some photos of the building as it looked in its heydey at the turn of the last century. Other than the clothes on the people and the cars parked out front, it didn’t really look all that different! Late one afternoon we were out for a walk, and we heard live music coming from one of the town buildings. We heard a saxaphone and a little band playing “Summertime…and the livin’ is easy.” We walked closer and saw a big sign that said “Event.” Just inside a gate, we saw a cluster of people milling around along with three musicians making music on a porch, and there was a table covered with a table cloth where a woman was seling beer. Aha!! This deserved an even closer look! We passed a sign that said “McFarland State Historic Park,” and since this was a public place, we decided to go right on in! Beers in hand, we started mingling with the group, and we quickly discovered this was a monthly gathering for the community (held the first Thursday of every month). Someone handed us tickets for a raffle, and then suddenly everyone began standing up to introduce themselve and their businesses. When our turn came, we exchanged surprised glances and then blurted out the truth — we were travelers visiting Florence for a while, and when we saw the beer and heard the music, we just had to check out the party! That got a laugh, but we were warmly welcomed, and everyone came up afterwards and wanted to make sure we knew about all the various fun things there were to do around their town. All the town merchants were at this gathering, from the manager of the local McDonalds to the folks from the hair salon to a couple of realtors. The band member who had been playing the stand-up bass turned out to be from the local historical museum, and she invited us to come by the next day. What a lucky break that was. The museum is a bit south of town, not near the historic district, and we might have missed it otherwise!! 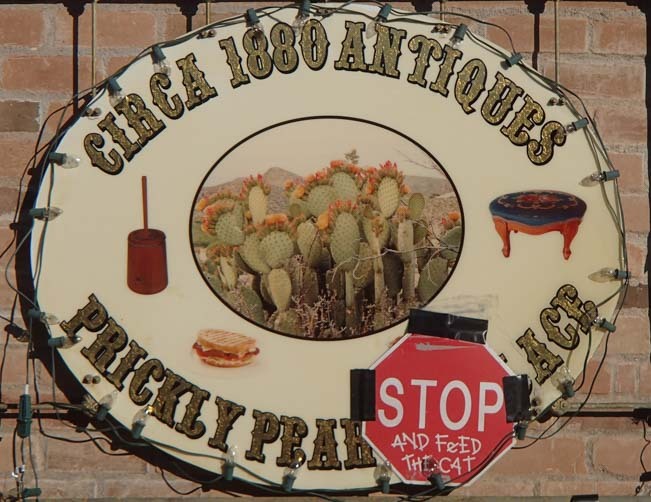 but if you see this antique shop, do at least stop and feed the cat! The museum has a huge array of intriguing artifacts, and the first things that caught our eye was the furniture made of saguaro cactus ribs. 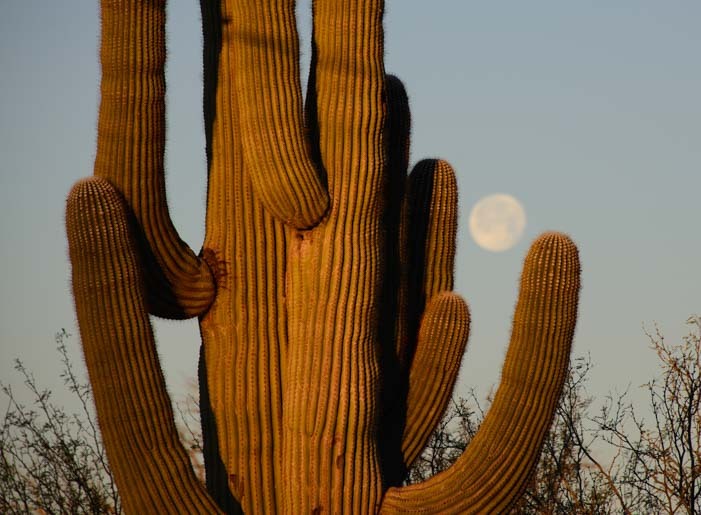 Those towering Arizona cacti that have their arms held eternally aloft are actually a melon-like material inside with a ribbed structure that gives the cactus its shape. 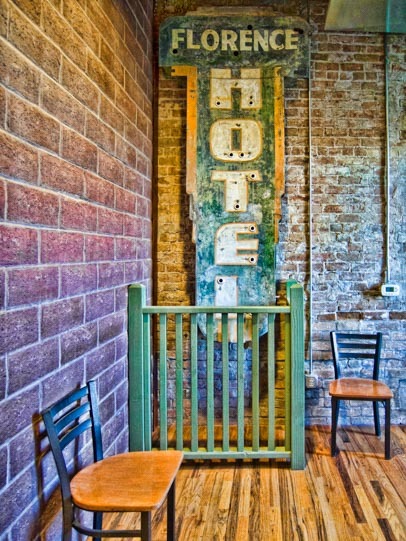 This furniture turned out to be a very creative use of those ribs! 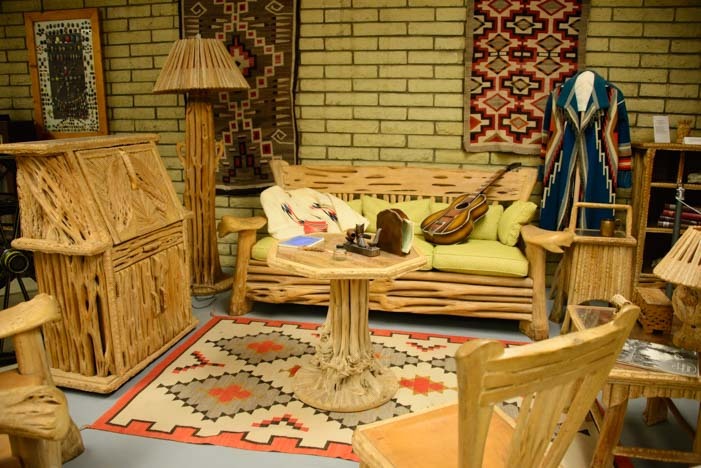 This furniture is made of saguaro cactus ribs! 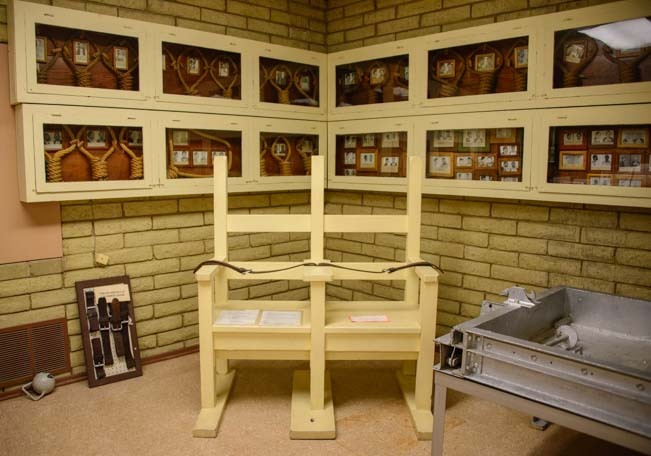 Florence is home to the Arizona State Prison (Yuma’s Arizona Territorial Prison — the “Hell Hole of the West” — was moved to Florence from Yuma in 1908), and there is a grisly display of the various implements used to end the lives of the worst criminals over the years. A series of rope nooses fill a wall of glass cases, and inside each noose is the mug shot of a prisoner who was hanged. Eventually, hangings gave way to death by gas, and in front of these nooses is the double chair that a pair of murderous brothers sat in when they were gassed. I wasn’t surprised that criminals were killed by gas in the 1930’s, but I was surprised to see that that method was used into the 1960’s. Capital punishment: nooses and a gas chamber chair. There are grim instructions nearby for how to turn the gas valves on and off! 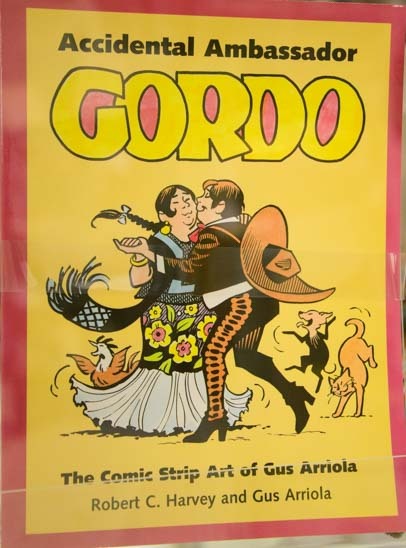 On a much lighter note, Florence was also home to the artist that penned the comic strip Gordo, and lots of comic books and mementos of his are on display. We also saw a more benevolent use of gas in the form of an antique gas heater. I was amused that it was about the same size and shape as our little vent-free propane heater in our RV! 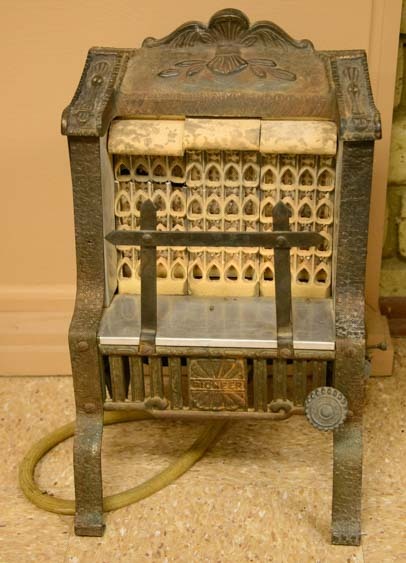 An antique gas heater — not so different than ours! And if seeing the predecessor to our little gas heater weren’t enough, we also got a glimpse of the original 1-gallon wash-up technique that predated the 2-gallon showers we take in our RV today. 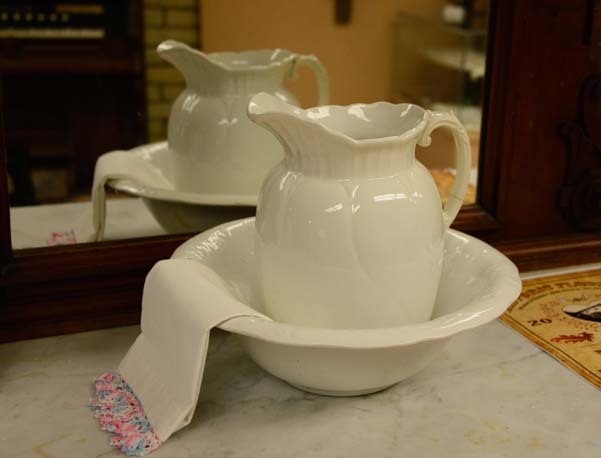 Rather than a fancy shower wand and electrically pumped hot water, however, this early method consisted of a large ceramic pitcher and a basin. Ahhhh the good old days!! 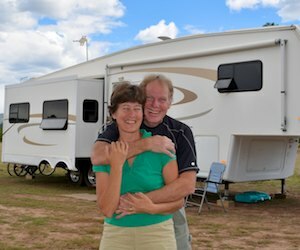 So, if you are roaming around central Arizona in your RV looking for a place that has some heart and soul and some interesting history, check out Florence. Just don’t be fooled by the vacancies on Main Street. Looks are only skin deep! Florence Visitor Info and more here. My favorite movie is Murphy’s Romance with Sally Field and James Garner, filmed in Florence. The tree they planted in the movie was there when we visited – at the little corner coffee shop. Pics of the movie all over inside…..it was very fun. I love hearing that the little township has such loyal citizens. I thought it was a cute place, but didn’t see nearly all the cool stuff you did! We didn’t catch that — we’ll have to watch the movie and go back and check out the tree and the movie pics. Thanks for the tip! We love trying to get beneath the surface of places we visit in our travels. We saw a lot in Florence, but there’s much more to go back for too!! Sending this to my Mom (in Phoenix)! Love your description of Florence and definitely a place I’d love to visit! Thanks for sharing this with your mom, Sherry. I hope she (and you) can check out Florence some time! !